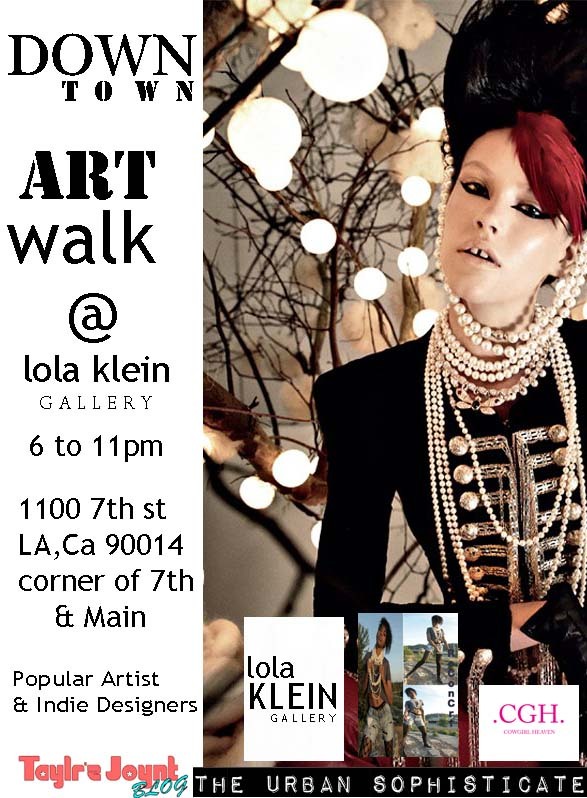 Lola Klein Gallery will be hosting a Designer Pop-Up Shop in conjunction with tomorrow night’s Art Walk in Downtown L.A. The unique fashion gallery features collections from designers around the world and offers everything from shabby chic to Haute Couture. If your making the rounds be sure to stop by between 6 p.m. – 11 p.m. to see what cool stuff is available for purchase. The Gallery is located at 1100 7th St. L.A. CA. 90014 at the corner of 7th and Main.